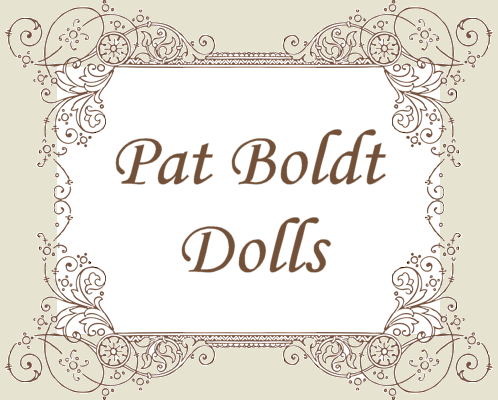 Pat has had a passion for dollmaking for over 35 years. In order to expand her experience and skill in both painting and costuming, she has taken classes from accomplished doll makers from all over the world, including Norway, Germany, England, Japan, Canada, and the United States. Pat has won the title of “Master of Dollmaking,” “Grand Master of Dollmaking,” and the “Award of Excellence." She is also the first artist to win the “Triple Crown of Dollmaking” in two categories: modern and antique reproductions. Pat is the recipient of the most prestigious of awards, a “Millie” and a “Maggie” from the Doll Artisan Guild. In the world of miniature dollmaking, Pat has won the IGMA “Artisan” award. Pat’s miniature dolls are even displayed in various museums across the country, such as the National Museum of Toys/Miniatures in Kansas City, MO and the Small Wonder Miniature Museum in Dallas, TX to name a few. Pat continues to travel to doll and miniature shows across the country where she sells and instructs. She loves meeting those that share her passion for dolls, so check her show schedule and stop by to visit her or take a class!